Equestrian Passions is part of the Passions Network network of sites, and as such, is part of the Passions Network Affiliate Program. 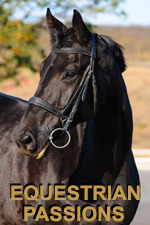 If you have a website focused on the 'Equestrian' community, you can (potentially) make money by promoting our site(s). Details of the program are outlined on the Affiliate page linked above.